Charlie Bossert was unique among early pro players. He was one of the few early stars to play basketball in college. 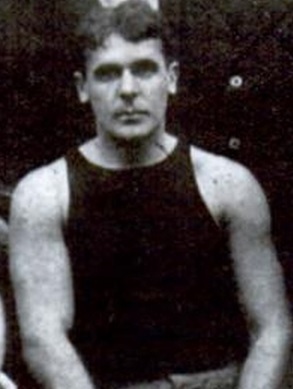 Bossert starred at Temple University for fours season through the 1898-99 season. Bossert’s pro career was slow to get underway while he attended medical school. He finally signed for two full seasons with Camden in the National League where he played an important role in the clubs 1902-03 championship season. In 1904-05, he was a member of another title team when Conshohocken won the Philadelphia Basketball League championship. When Conshohocken dropped out of the PBL, Bossert signed with De Neri where he the lead the league in scoring and his team to the championship. Bossert resisted attractive offers from the new Central Basketball League in 1906 to remain in Philadelphia and complete his medical studies. He remained active in the Philadelphia area until 1910 when he retired from basketball to devote full time to his medical practice. Charles Leidy Bossert Born: Oct 3, 1973 Died: Nov 13, 1941 Hometown: Philadelphia, Pa.